WASHINGTON, DC—Generally speaking, commercial real estate came off pretty well in the House Ways & Means Committee’s $1.51-trillion tax reform measure, GlobeSt.com reported earlier this month. Now the Senate Finance Committee has introduced its own version of the plan, and there are enough differences between the two bills that the final scorecard for CRE will depend on whether the Senate or House language prevails on specific points. There are key similarities, as well. The Commercial Real Estate Finance Council notes that both the House and Senate plans would maintain the deduction for interest on commercial loans, like-kind exchanges for real property under Section 1031 of the Internal Revenue Code and the existing regimes for commercial property cost-recovery and depreciation. However, the Senate measure would keep the carried-interest provision in place as-is. The provision’s ultimate fate may emerge in the reconciliation between the two versions, assuming that Ways & Means’ carried-interest language survives the amendment process before coming up for a full vote in the House. Treasury Secretary Steven Mnuchin told Fox News last week that the Trump administration intends to pressure lawmakers into doing away with the provision altogether. Both the House and Senate measures would permanently lower the corporate tax rate to 20%. The Senate version introduced this past Thursday, though, would delay the lower rate until 2019. Another area on which there’s broad—but not total—agreement between the House and Senate packages is the mortgage interest deduction. Both proposals maintain such a deduction, but the House version would cap it at $500,000, to the disappointment of the National Association of Home Builders. NAHB chairman George McDonald said as much in a statement issued after the House version was introduced. 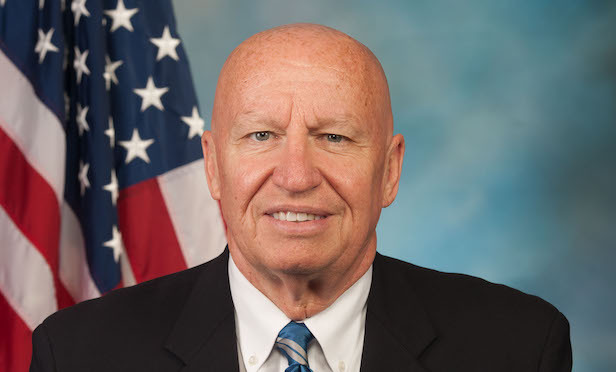 “Capping mortgage interest at $500,000 for new home purchases means that home buyers in expensive markets will effectively lose this housing tax benefit moving forward,” McDonald said earlier this month. He had more positive things to say about the Senate version, which would allow deductions of up to $1 million. Moving from single-family to the multifamily arena, NAHB applauded both the House and Senate versions for maintaining the Low Income Housing Tax Credit program. Yet the Senate version would preserve the private activity bond, which industry members say enables about half of the affordable development and preservation projects to move forward. The House plan would do away with PABs, which also facilitate the building of public infrastructure. The coming week is expected to see the House and Senate consider their respective tax-reform packages, with votes presumably coming by this Friday. December would then see the two versions reconciled, with the goal of sending a final bill to President Trump for his signature by the end of this year.